Sure! I’ve got a cup of coffee handy and time to burn this morning, so let’s check it out. What you’ll find below is my highly detailed experiences after signing up. 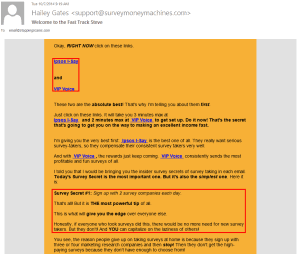 I am not affiliated with Survey Money Machines. This is my 100% honest, completely unbiased review. Long story short: SMM just gives a bunch of “paid survey” sites positive reviews because they get paid to. When they refer you to each of those sites, they receive a commission. Don’t get me wrong, I make a small commission when I refer people to legitimate paid survey sites too, but I only recommend the best site in the industry, not every site that will pay me a commission like Survey Money Machines does. SMM recommends a bunch of sites, including Swagbucks, which I personally believe is the hands-down most legitimate paid survey site online. Whereas SMM recommends every site that will pay them a commission, I only recommend Swagbucks. So if you’re interested in making money taking surveys online, there’s no better site out their than SB, and it’s 100% free to join. If you don’t have time to read everything and look over the screenshots below, I’ll summarize the important take-away information here. Survey Money Machines isn’t anything special. The owner refers you to multiple free survey networks and earns a commission with each one you sign up for (which is not explained to you; screenshot proof in the full review below). After you give them your email address, you receive seven days of emails that instruct you to do what earns the owner of this website the most commissions for the actions you take, not what’s best for you as someone trying to make money taking surveys online (like “Hailey Gates” initially promised). After you spend several minutes setting up each profile with these various networks that Survey Money Machines refers you to, you quickly discover that you’re not getting paid for surveys like you were promised on their sales page. 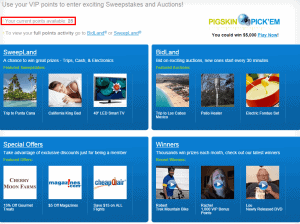 You’re earning “points” that you can use to enter sweepstakes, bid on auctions within their members’ area, etc… You’ll also discover very quickly that these points accumulate at a painfully slow pace making it virtually impossible to get anything out of these survey databases without working on these surveys as a part-time or full-time job. 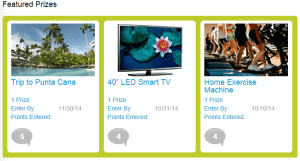 All-in-all, if you want to spend dozens or hundreds of hours taking surveys that you can cash in for sweepstakes entries or bids on rewards points auctions, Survey Money Machines is a decent resource. 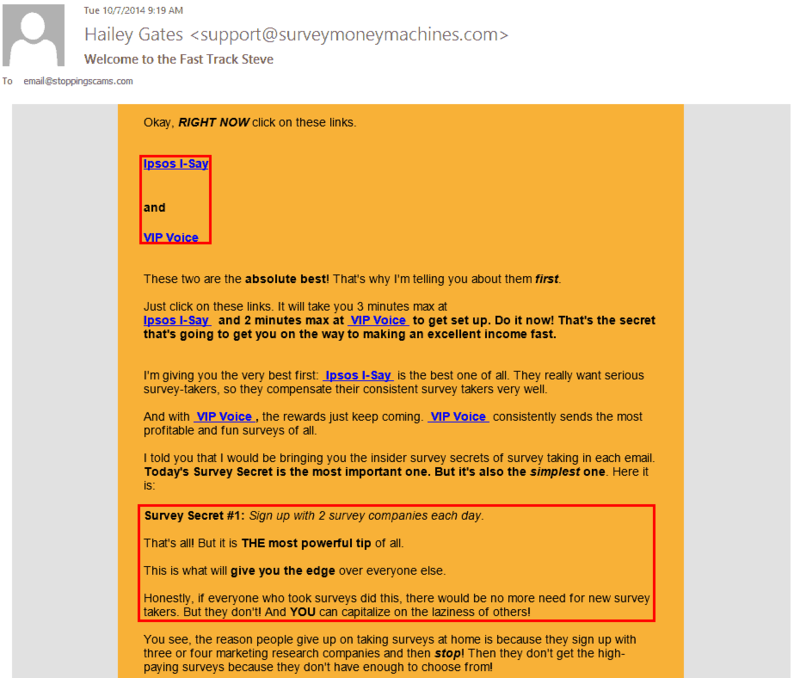 If you want to actually make a predictable, sustainable amount of money online, avoid paid surveys sites like this. You’ll waste a ton of your time and be incredibly disappointed when you can’t actually get “paid” like you were initially promised. There’s only one legitimate paid survey site we’ve ever encountered, which you can read more about by clicking the link below. 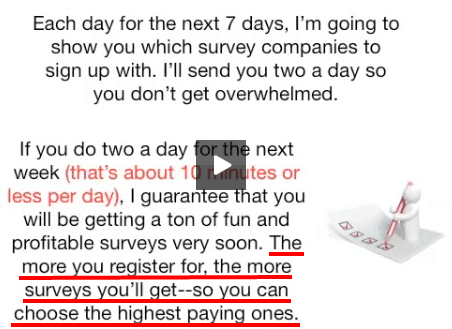 After you submit the information that Survey Money Machines requires on their site, you’re taken to a video summarizing what you have to look forward to as a paid survey taker which instructs you to check your email. The first link in that email is for a survey network called “Ipsos“, and they’re paying her up to $4.00 each to recruit people like us. Hailey is trying to make it sound like it’s in your best interest to sign up for all of the 14 survey networks that she sends you over 7 days, but really it’s what is best for her – not you. What Happens Once You Sign Up for the Survey Networks? I’m going to walk you through exactly what I experienced with the last survey network I mentioned, VIP Voice. The exact same flaws/weaknesses that I’m going to explain for this survey network are present across all of the survey networks that Hailey from Survey Money Machines refers you to. After I filled out the initial information on VIP Voice’s sales page I had to spend a few more minutes giving various personal details like my household income, age, ethnicity, head of household status, spouse’s ethnicity, etc… Then I was immediately prompted to start my first survey worth 25 points. 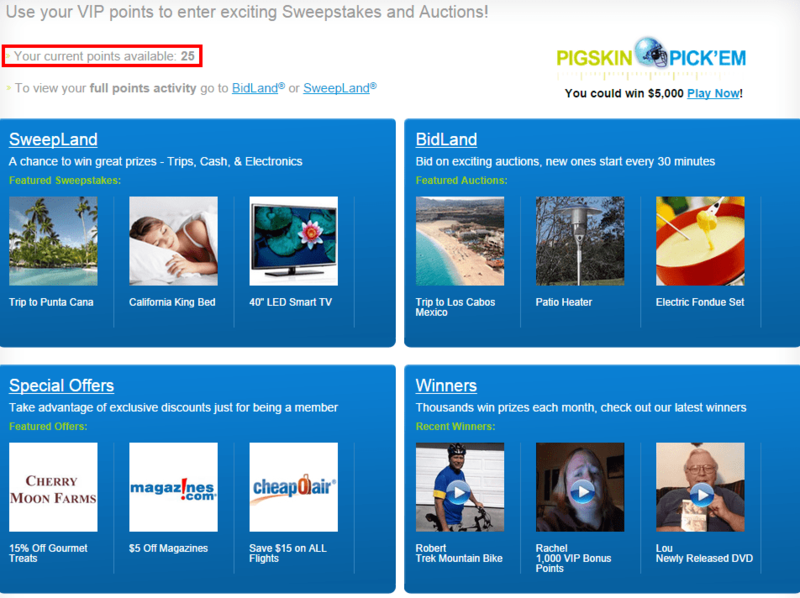 I begin exploring the redemption options available through VIP Voice only to discover something very disheartening: points can only be redeemed for sweepstakes or auctions. 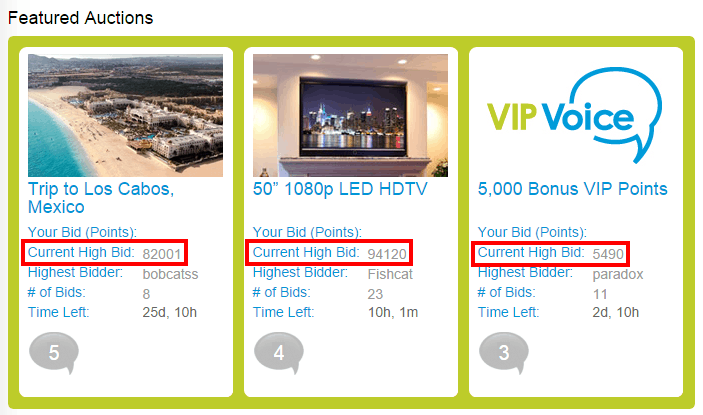 The only items I’m remotely interested in bidding on are tens of thousands of points, and it took me 10 minutes to get just 25. 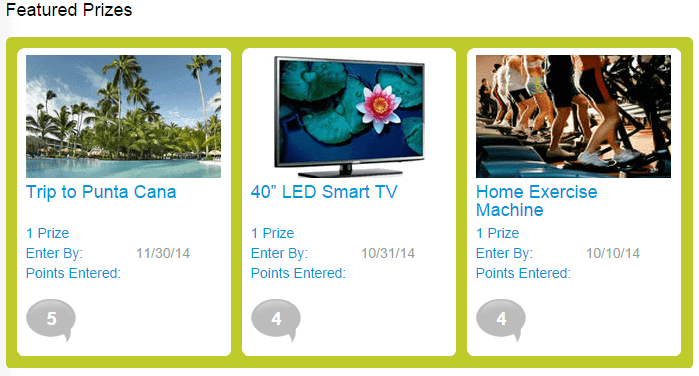 And does anyone really find points that can be used as sweepstakes entries valuable? Survey Money Machines told us that we would be earning cash, not lottery tickets. Upon realizing this, I checked to see how many points I can expect to make once I “level up” and gain a higher status with VIP Voice’s network. 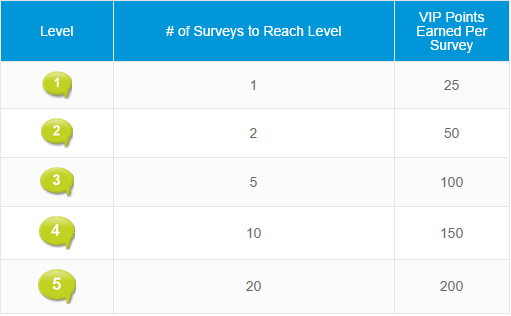 Even the highest level (level 5) earns only 200 points per survey, and many of these “higher quality” surveys take significantly more time to complete. So to bid tens of thousands or hundreds of thousands of points for the auction items that are actually worth winning I would have to spend hundreds of hours completing surveys. This would require people to focus on this as a part-time or full-time job. Should You Sign Up with Survey Money Machines? It depends. If you fully understand that Hailey is just referring you to these networks to earn a commission off of you, go ahead. Also keep in mind that you’re not going to get much cash (if any at all) and that you’ll need to devote dozens, if not hundreds of hours to this before you accumulate enough points to get anywhere. If you’re wanting to earn a part-time or full-time income, DO NOT sign up with Survey Money Machines. You’re promised a decent income on their sales page, but you’re delivered networks that reward you with sweepstakes/auction points instead which take a very long time to accumulate. You’re better off joining the #1 paid survey site online. It’s free to join and offers a lot more variety than just paid surveys, which ultimately results in more earning potential. If you’re joining with the right expectations, Survey Money Machines is an okay service. I wouldn’t call it a scam like I’ve called programs like Get Cash for Surveys in the past, but they’re definitely pitching something different than what you’re delivered after signing up – just keep that in mind. If you found this post helpful, please take a minute to leave a brief comment below. This is how I know what posts are actually helping people so that I can focus on creating more, similar content in the future and help protect even more people like you. If you have any questions, leave those in the comments section as well! I respond to all comments personally and am happy to help any way that I can. Description: A survey review site that reviews a lot of paid survey websites, but recommends them all for affiliate commissions, no matter how bad their reputation is. ClearVoice Surveys Ripoff: Earn Pennies Per Hour! Ian, you’ve exposed yet another piece of rubbish. This is useful information to both the experienced and newbie marketer alike, thanks! I’m just happy to be in a position to help others. It’s always good to see that you stopped by, Rob! Thanks for letting me know you were here and that you found the information helpful. I have never done the Surveys for many of the reasons that you outline. I haven’t found one yet that just pays in cash. Sometimes it is useful to get credits if they can be used to promote your site on various networks but often this is not even available. Thanks for the head’s up on this one. No problem at all, Craig! Thanks for stopping by and taking the time to leave a comment letting me know you were here – I really appreciate it. No problem at all, JD! Stay safe out there. Thank you so much Ian! I was just about to sign up but decided to find reviews first- thank goodness I did! So glad you found it helpful, Francia! I was just about to sign up with them and thought I need to find out more about them before signing up. Then I read your review, you save a lot of my time. Your review is fully detailed and fair. Thanks. I’m glad you found it helpful, Nick! Thanks for taking the time to leave a comment letting me know you found it helpful. Glad I read ,thank u. Thanks man this really helped and saved me a ton of time!!! No problem at all, Bryce! I’m glad you found it helpful! thanks so much Ian… you review helps and can you send me couple of survey sites that are helpful. Hey Adebanji — Swagbucks should be the only one you need as long as they’re available in your country! Hello U.N.! A very fair question. Yes, I still recommend Swagbucks after all others. They’re still far-and-away the best in the industry that I’ve found.